The Pontiac Fiero isn't a bad car in stock format, but general consensus of the car guys around middle America is that it needs some more forward thrust and they are more than willing to drop whatever iron block monstrosity can be found at the local pick-n-pull for a few bones..but this one might be worth a gander. 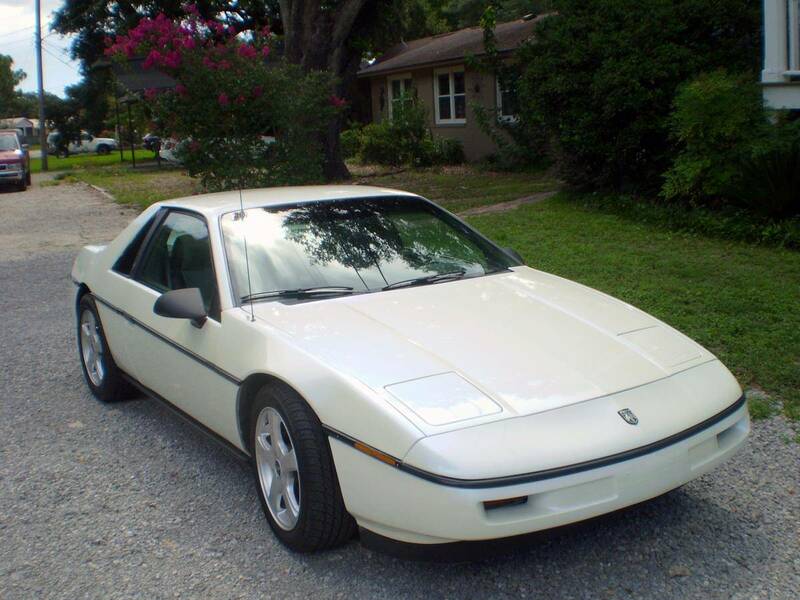 Find this 1988 Pontiac Fiero V8 offered for $9,995 in Pensacola, FL via hemmings. Tip from BarbPaddles. The seller states that he dropped it off at "The Fiero Factory" in Alabama...which isn't an actual Fiero factory, but is a third party restorer/customizer of the Fiero. This little mid engine runabout now has a 4.9 liter Cadillac V8, which does have an alloy block, but iron heads because it is the "High Technology Engine" that pushed about 200 horsepower and 275 ft-lbs of torque into a 4-speed auto. I love getting tangential knowledge from these posts. For example, I just learned that there is a place called "The Fiero Factory" that is just a couple hours south of me, and I will be making a pilgrimage there in the near future. I have a soft spot for 88 Fiero GT's, and V8 engine swaps....put the two together, it's hard to resist. 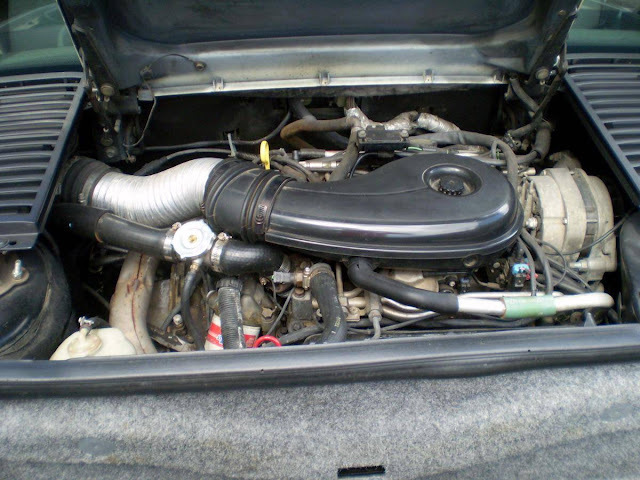 Fueltruck, it could be argued that when you put an American big block into an American plastic mid-engined car the most bulletproof and cost-effective trannies are going to be slushboxes. I have had a few muscle cars with automatics that were fun. A shift kit mixed with a performance stall converter can be a blast. Stan sorry to hear about your foot, glad to hear they glued it back on for you. I love it when interesting car conversation is afoot. Timing. Vince just heckled me (offline) for my stubborn insistence on finding a needle-in-a-haystack E38 with stick. This after sending him a link to a sub-£10k 6700 (!) mile example that I rejected on this account. Your thoughts? Kaibeezy, it sounds as though you might have stumbled upon the lowest-mile manual E38 left in existence. Love the idea of a big car offering the row-it-yourself option. Fueltruck......actually one of the perks of the 4.9 Caddy conversion is that it bolts right up to the standard Fiero manual gearbox, no adapter needed. Just happened to learn that as I went down the rabbit hole after reading this post. No kidding? Cool. I would've thought that there's no way the stock manual gearbox could take the torque from the bigger engine. Well, keeping that would be a no-brainer in my book. @Fueltruck - Alas, my wordfoo was weak. I rejected that E38 on account of it being the usual automatic. I'm still trying to get my bearings on the premium in terms of cost uptick for the stick. Heck, could be a downtick. And/or the impact in terms of how long it sits around, could be longer due to few people looking for one, or could be shorter due to the scarcity. I know we have posted stick E38's here on DT over the years, but it's possible those were gray-marketed over from Germany. I'm stuck with the stick population among RHD examples, which is bound to be almost zero, although I know for a fact it's not actually zero.